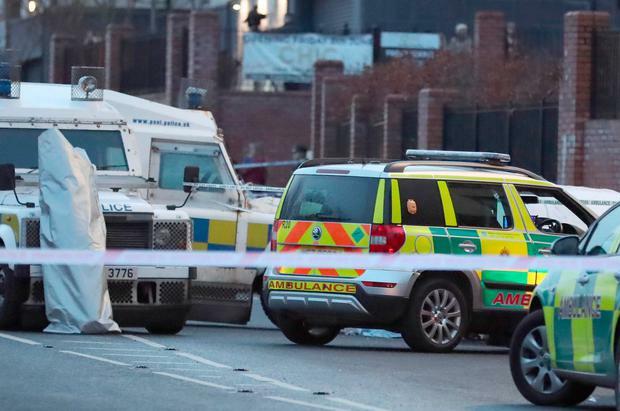 Police have condemned the killing of a man outside a school in west Belfast as a "disgraceful murder". The name of the victim, who is aged in his forties, has not yet been made public. He had been sitting in his parked car when he was attacked as terrified schoolchildren looked on. 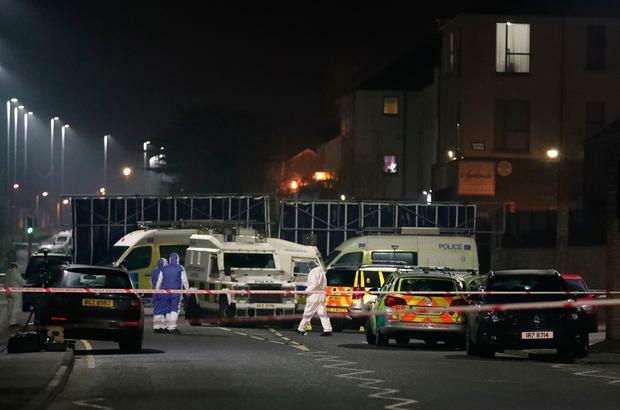 On Tuesday night, family members comforted each other at the police cordon around the scene of the incident outside St Mary's Grammar School on the Glen Road. Chief Superintendent Jonathan Roberts said children could have been killed during what he termed "an absolutely disgraceful and reckless act". "This man is believed to be in his forties and was sitting in his car when he was approached by a lone gunman who shot him several times, including at least once in the head," he said. "This is an absolutely disgraceful and reckless act for which there can be no justification whatsoever, the act was carried out in the immediate vicinity of three schools where there were large numbers of pupils at the time and it is entirely possible that we could have had a seriously injured or dead child or children as a result of this terrible act." 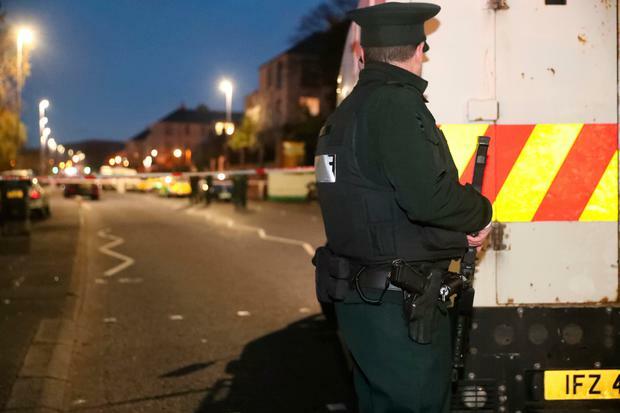 Mr Roberts said it was too early to comment on motive, but added police have not ruled out the possibility of dissident republican involvement. He made an appeal for information about the incident, including a description of the suspected gunman as having worn a high-visibility jacket with the word security on the back, who fled the scene on foot. "The gunman is also believed to be aged in his forties," he added. Earlier on Tuesday, St Mary's Grammar School said it will be closed on Wednesday but said counselling and support services will be made available to pupils. "The thoughts and prayers of the principal and all the staff are with our pupil and his family at this very sad time," the school's statement said. "The school will be closed on Wednesday 5th December 2018 due to the on-going investigation. "The school will be providing pupils with counselling and support services." West Belfast MP Paul Maskey said: "It is deeply concerning that this killing was carried out in full view of hundreds of kids who were leaving school at the time. "People are very shocked by this, they thought these days were well past us, especially on a road like this with a number of schools, which is usually filled with fun and joy and the noise of children walking up and down, but that was ruined today with gunfire." SDLP Belfast City councillor Tim Attwood described the incident as reckless. "It is absolutely sickening that a gun was fired in the vicinity of both a primary and secondary school in west Belfast today. "A number of pupils witnessed this fatality and are understandably very disturbed and frightened after this reckless act occurred nearby the school gates. "There is absolutely no place for this in 2018; this madness belongs in the past and we cannot allow it to once again become our normality."